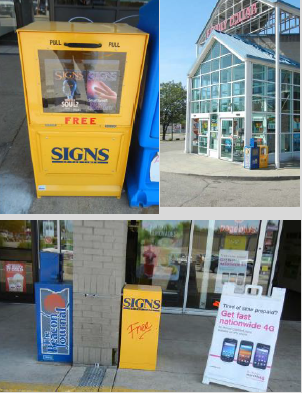 As part of our outreach to the Akron area our church is sponsoring 3 new Signs of the Times Boxes with free copies of the message filled Signs of the Times Magazine. Additionally, each magazine has a tear-out signup card for the Discover Bible School Lessons. We invite you to visit these boxes and see what they look like in person and pause there to pray for the individuals that pickup these magazines, that their hearts may be touched by the gospel filled articles in these magazines. the Radio Shack store, S. Arlington Street and the Family Dollar, South Arlington Street. Please pray for us as we begin this ministry. You can read Signs of the times online at http://www.signstimes.com/. 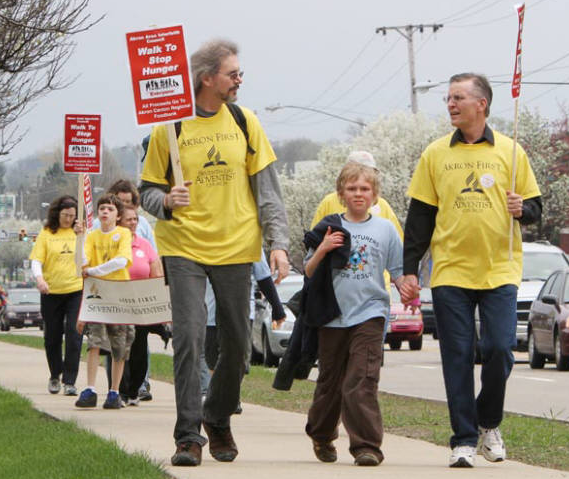 Join the Akron Area Interfaith Council for the 2012 Walk To Stop Hunger on May 6, 2012. Registration is at 2:00 pm and the walk begins at 3:00 pm. The walk will begin and end at the Unitarian Universalist Church at 3300 Morewood Road. 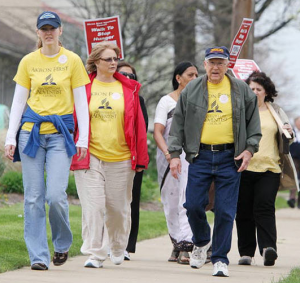 The walk will be 2 1/2 miles and will follow Morewood Road and West Market Street. After the walk there will be a hot soup. 100 percent of donations go to the Akron-Canton Regional Foodbank. Non-perishable foods will also be collected at registration. For more information, please visit www.aaichungerwalk.org, email info@aaichungerwalk.org, or call 330.329.5132. The signs of the times suggest that we’re very near to the return of Jesus Christ. Deciphering Bible prophecy will help to bring meaning to current events. Come join us for a series of meetings, beginning on September the 30th, on understanding Bible prophecies and designed to give you a hope and peace about the unknown future. The Prophecies Decoded Bible seminar will be simulcasted at the Akron First Seventh-day Adventist church from Nashville, Tennessee. Meetings will be held each Monday, Tuesday, Wednesday, Friday & Saturday evening at 7:30pm, running from September the 30th to October the 29th. Please visit http://akronadventist.com/prophecies-decoded/ for more information. This coming weekend, September the 9th and 10th our church will be hosting a Discover Bible School Rally featuring radio and tv host Lonnie Melashenko. Lonnie will lead us out in two powerful days of study with an easy‐to‐use Bible marking plan to place a wealth of Bible knowledge at our fingertips. The meetings are designed to illustrate the important truths for the end‐time and help to transform your own Bible into a virtual encyclopedia of biblical information. International speaker, E. Lonnie Melashenko, former Director‐Speaker of The Voice of Prophecy radio program (1989‐2008), brings 42 years of ministry into focus having served as pastor, evangelist, seminar speaker, author, gospel recording artist and radio‐TV host. 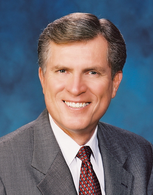 Presently he serves at Kettering Health Network (Dayton, OH) as Vice President for Spiritual Services and Missions. You can find out more information about Lonne by going to this link at the Voice of Prophecy’s website. The series will be hosted by the Akron First Seventh-day Adventist Church. For location information and directions please see our Visitors page. Child care and a free lunch on Saturday afternoon will be provided. 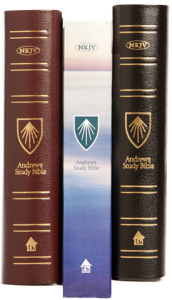 A free New King James Version Andrews Study Bible (12,000 study notes, maps & much, much more) will be give to all participants. 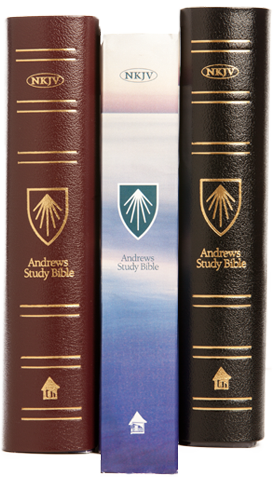 Learn more about this exciting and dynamic Bible to help study God’s word here. The Adventist church has numerous television ministries in North America continue to proclaim the gospel of Jesus Christ. These programs and channels are available online through each ministries website or can be watched through various television channels. Some of these ministries are listed below along with where they can be watched in Northeast Ohio. May they be a blessing to you. 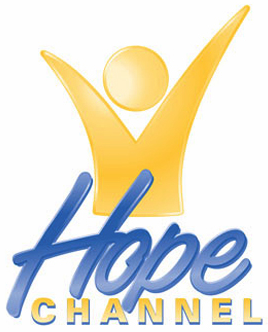 Hope TV is the official television channel of the Adventist church. It is available on DirecTV (Ch. 368) and streaming at hopetv.org or through your iPhone. Note: To receive the Hope Channel on DirecTV you can use any receiver, but your dish must have 3 or 5 LNBFs (the electronic “eyes” on the arm in front of the dish). Hope Channel is not transmitted on the main DirecTV satellite, but is carried on a side satellite. This means that if you have DirecTV service with a small 18″ dish and single LNBF you must upgrade your system. DirecTV offers this upgrade to existing customers for around $50. Breath of Life targets an urban audience and can can be found on the Discovery Channel or Hope Channel on Sunday at 7 AM and on the Word Network Sunday at 1:30 PM. These stations can be found on Time Warner Akron & Canton and on DirectTV. Faith for Today’s Lifestyle Magazine centers on discussions around with health, spiritual and moral issues. Faith for Today airs on the Trinity Broadcasting Network (TBN), locally on WDLI Channel 17 on Thursdays at 1:30 PM. All children in kindergarten through the sixth grade are welcome to come join us at “Saddle Ridge Ranch” for a great time for Vacation Bible School. The fun runs from July the 19th to July the 23rd from 6:00 – 8:00 PM each evening at the Akron First Seventh-day Adventist Church. Besides the local hometown campmeeting in Wooster, Ohio on June 18th and 19th (More information here) there were be several other hometown campmeetings scattered throught Ohio over the next several months. More information about each event is listed below. Dave Weigley, President, Columbia Union, Philip Samaan, Professor of Religion at Southern Adventist University, and Richard O’Ffill, Author and Speaker. Adventist Book Center will be on-site and free primitive camping will be available on the banks of Big Walnut Creek. Find out more on Columbus Eastwood’s Facebook page or at their church website. Camp Meeting and Vacation Bible School programs will run each evening from 6:30 – 8:30 pm. Each day an expert will lead in discussing a special topic, including health, finances and parenting. We invite you to attend the second annual Hometown Camp Meeting in Wooster, Ohio at the Ohio Agricultural Research & Development Center (OARDC) Secrest Amphitheater. You will be blessed as you come to worship God under the pines and to enjoy God’s nature and beauty all around you. We pray you will enjoy the songs we sing together, the sharing of God’s word and the beauty you will drink in as you walk the grounds of the OARDC. In the sharing of the word throughout the weekend Chaplain Clive Wilson will share with us what it means to have a personal encounter with Jesus on a daily basis and to have God’s power in our lives as we journey with Him. There will also be a special prayer walk that will be available to you starting Friday evening. You will journey with Jesus on this special walk and we pray the Holy Spirit will speak to your heart and draw you to a closer walk with Jesus. Listen for that still small voice as Jesus speaks His love to you in a special way. Paul Muniz will be presenting messages in Spanish for the Hispanic group this year. We are so excited to be able to include our brothers and sisters in Christ. We look forward to having you with us. There will be a children’s morning program on June 19, 2010 @ 10:30 a.m. located at the OARDC. Directions will be given upon arrival. There will also be a puppet show in the afternoon for all to enjoy. Friday evening all ages meet together at the OARDC. Young adults will meet at the Wooster Seventh-day Adventist Church at 445 North Bever Street, Wooster, OH 44691 in the fellowship hall. There will be a shuttle bus to transport them to the OARDC for meal time. Friday evening ALL ages will meet together at the OARDC. As you arrive at the OARDC you will follow black arrows to the Amphitheater. There will be parking attendants to direct you for parking. If you are physically challenged there will be a golf cart to transport you down to the amphitheater. Bring a blanket for sitting on the grass if you wish, or bring your favorite lawn chair for greater comfort. If you have any questions please feel free to call. Look forward to seeing you there. Chaplain Clive was born in the quaint town of Bedford, United Kingdom and is the youngest of six children. 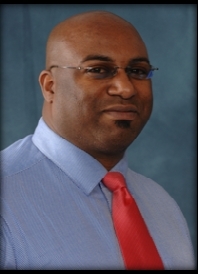 Presently Clive joyfully serves as the Campus Chaplain for Kettering College of Medical Arts in Kettering, Ohio, where as an assistant professor, he also teaches classes in religion and theology at the undergraduate level. Clive is also responsible, along with a team of talented student leaders, for the spiritual programming on the college campus. Clive also works alongside the pastoral team at the Kettering Seventh day Adventist church, (the college church), teaching and speaking there regularly. Clive is married to the beautiful and super talented Geeta (nee Patel) Wilson, and together they have four handsome sons: Premkush, Rishi, Kishi and Khushi. laws of God. Recently he was partnered with his wife Esperanza; together they work to bring souls to Jesus’ precinct of love, power and hope. Esperanza Alvarez-Muniz, a former teacher, completed her master in Divinity from Andrews University in 2007, where she currently serves as a Dean of women. She has been very active in youth ministries for the past twenty years and envisions empowering young people to have a cool and personal relationship with Jesus. 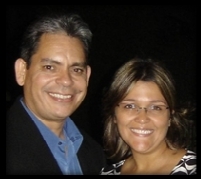 Pastors Paul and Esperanza Muniz are determined to share the love for their Savior, with people of all walks of life encouraging them to “taste the Lord for and see that the Lord is good” (Ps. 34:8). Through their precinct ministry of love, power and hope they are committed to teach, train, and empower this generation to strive and shine for Christ. A full gospel concert will be given Saturday night at 6:30 p.m. in the OARDC Amphitheater by The Gospel Echoes Quartet. We look forward to sharing in song and praise to our heavenly Father during this special time together. If you are looking for a lively group on Sabbath morning, look no further than the Kindergarten Sabbath School room. We generally have anywhere from four to eight 4 & 5 year-olds in attendance, and are pleased to now have several children from the Spanish church attending on a regular basis. Despite the language and cultural differences, all of our members have a common bond: unlimited energy! Whether they are singing, praying, learning about God through Nature Time, or listening intently to one of the exciting Bible stories, these kids do it with enthusiasm. As you can see, rarely can we get them stand still for a picture! Our lessons for the month of April focus on the life of Jacob. It is so encouraging to hear them ask “what happens next?” when we end each week’s story. God is blessing our class, and we are so thankful for each of our Kindergarteners. If anyone is able to play the piano for our song service, please let Dave or Michele Keyes know! Join us for the Firestone Park Community Christmas Concert featuring the combined choirs of eight churches in the Firestone Park area in addition to a children’s choir, orchestra and hand bells. The concert is free of charge and will be held on December the 5th at 7:00 PM at the Akron First Seventh-day Adventist Church. Particpating churches include the Akron Chinese Christian Church, Akron First Seveth-day Adventist Church, Antioch Baptist Church, Community Fellowship Chapel, Firestone Park United Methodist Church, Firestone Park Presbyterian Church, Saint John The Baptist Catholic Church, and Saint Paul’s Catholic Church.